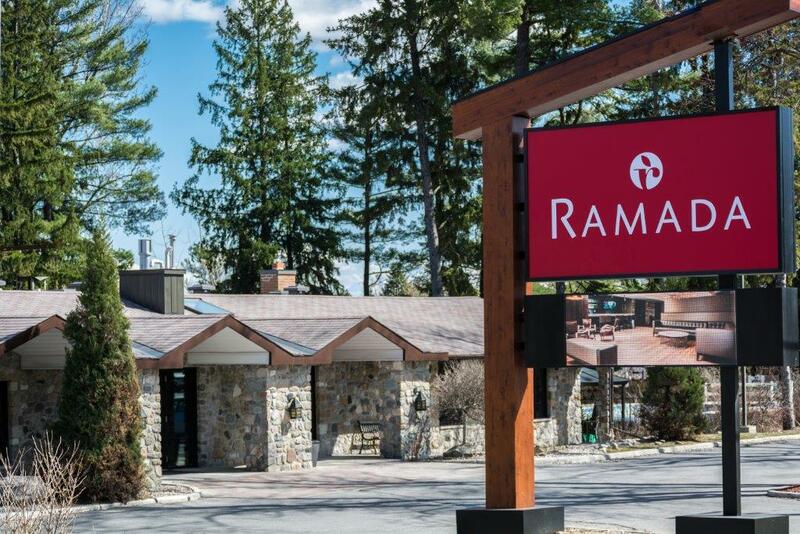 Relax in one of our completely renovated rooms on the banks of the Rideau River, where uninterrupted views and five acres of evergreens, pines and tranquil gardens frame the city’s only hotel with a riverfront setting – the Ramada Hotel. Enjoy resort-style lodging and amenities ideally suited for vacationers and traveling executives an outdoor pool, heated to perfection, enticing dining and sophisticated facilities for signature meetings and wedding celebrations . The Ramada Hotel also features Tim Horton's right on site. Most hotels would charge double just for the river views, but the Ramada Hotel remains one of Ottawa’s most affordable destinations. Our pet friendly rooms have hardwood floors and private walkout to the rivers edge. Take your pet for a walk without having to worry about elevators or hallways! With a thirty-year tradition of gracious hospitality, new management and a two million dollar renovation, the Ramada Hotel welcomes you to discover our new rooms and captivating setting. 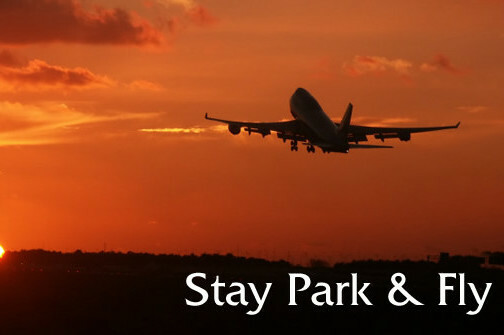 Stay one night at our hotel and park your car for free for one week and receive a free shuttle to the airport. Shuttle hours are Monday to Friday 7am-10pm, Sat-Sun 8am-5pm. Planning a trip to Ottawa with your pet? 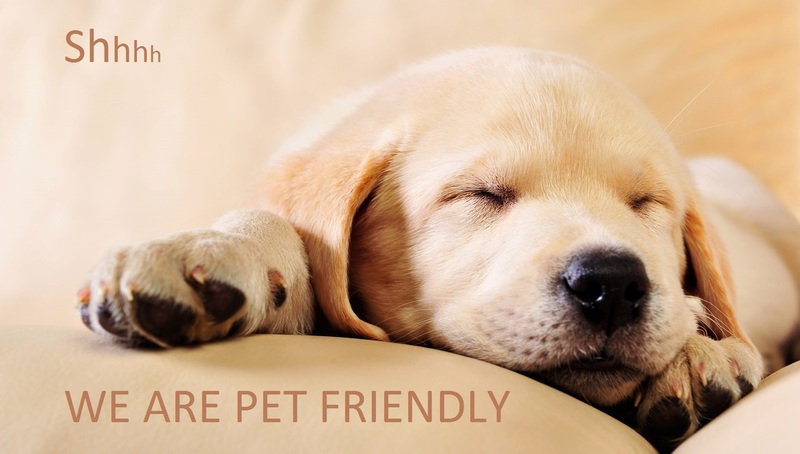 Ask about our pet-friendly rooms! Call to book. THE NEW RIVER LOUNGE IS NOW OPEN WITH A NEW MENU. 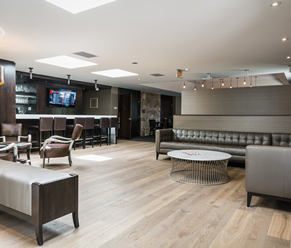 The Ramada Hotel proudly features one of the best new restaurants in Ottawa – The River Lounge. 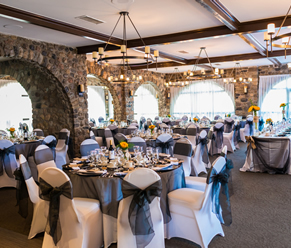 It is located in a charming stone building, with views of the hotel’s hundred-year-old pine trees, lush gardens and the Rideau River beyond. 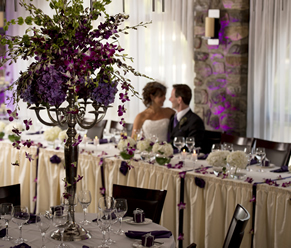 The Ramada Hotel Ottawa is the city’s only hotel on the Rideau riverfront, offering an exclusive setting for your next meeting, wedding or special event. 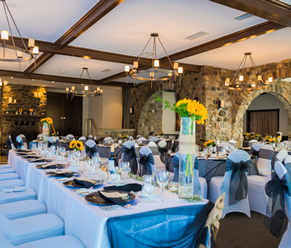 With three elegant conference venues and a professional planning and catering staff, our focus is on personalized service and a commitment to realizing your vision for your gathering, down to the last detail. 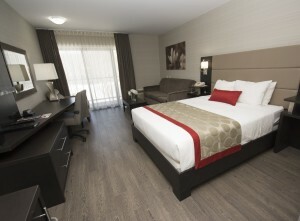 Enjoy an exceptionally relaxing vacation or business trip at the only riverfront hotel in Ottawa . Featuring a bright, modern décor, the rooms and kitchenette-equipped suites at the Ramada Hotel offer the latest guest comforts, sophisticated furnishings and great views of the Rideau River. 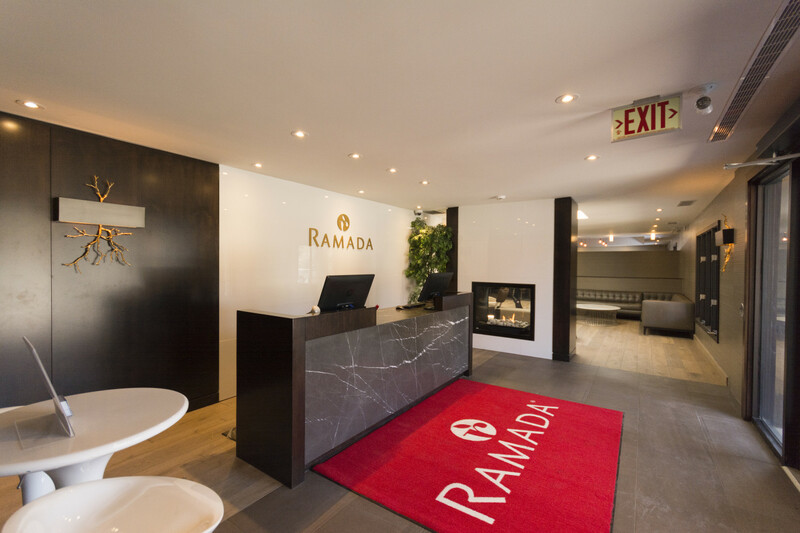 The instant you arrive at the Ramada Hotel, you’ll see what sets us apart from the typical lodging in and around the downtown Ottawa area. 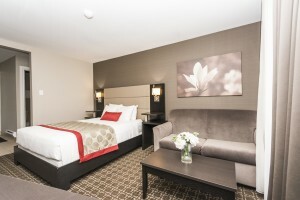 Start with our one-of-kind location – the Ramada is the only Ottawa hotel located directly on the Rideau riverfront. Perched on five landscaped acres with uninterrupted water views, we offer a host of superb features for business and leisure guests.